This is Kenny Baker's mummy. 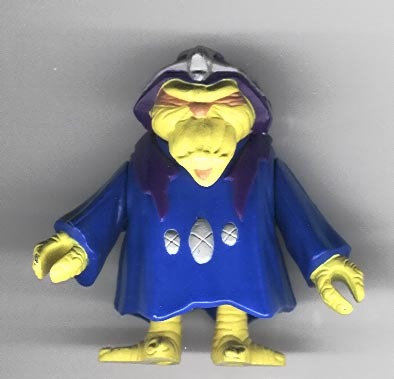 Just kidding--it's Morag, the unproduced Ewoks figure, who, according to the figure's coin, is an evil witch. This figure is fully machine-made, appearing much as it would had it been released in stores.